There was a major development in the Flybe takeover saga this morning. It appears that the subsidiary of the quoted company, Flybe Group plc, which runs the airline has been sold to the Virgin Atlantic / Stobart Group consortium subject to a limited number of conditions. Final completion is expected by 22nd February. The price was £2.8m. This compares to the original £2.2m offer for the quoted company. This means that, whilst Flybe Group plc will remain a quoted company, it seems it will be a shell with no trading assets of note. 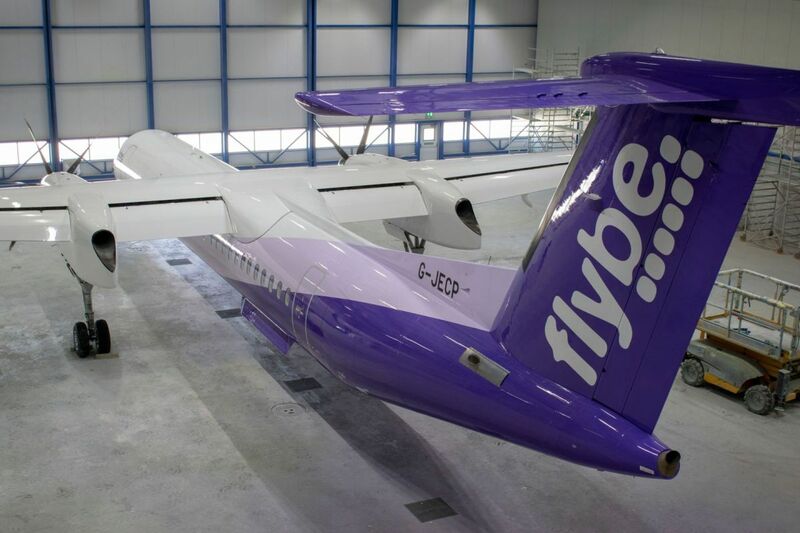 The sale to the Virgin-led consortium appears to be a done deal and Flybe shareholders will not have an opportunity to vote on the transaction. The remaining shell of the PLC will still be acquired by the consortium at a future date so shareholders should still receive a payment. The reason behind this appears to be that Flybe Group failed to meet the conditions attached by the banks to the £20m bridge loan that the consortium had offered. This new structure allows half of the bridging loan to be released immediately. ENDS SOON: EXCLUSIVE Marriott HFP offer - earn 10,000 points for a long weekend in Europe! So how soon do we expect to see Virgin livery, and the ability to redeem VS miles? I’m interested to see what they do with the fees and taxes on short haul redemptions. If they match BAs cap, there will potentially be lots of interesting and useful redemptions. If not, less so. The problem with Flybe is that a domestic flight incurs two lots of APD. That’s your £35 gone already. BA can write this off because domestics are a small % of short-haul, less so for Flybe. With little direct competition between Flybe and BA I doubt they will feel the need to cap charges unless it is a marketing gimmick. Well sort of but that’s only important if you fetishise APD as BA seem to do. Who else picks a specific charge/tax/levy/duty and seperates it out as much as this? Sure, plenty of businesses make a stink about their particle levy, for example the monkey running Wetherspoons endlessly moaning about duty on beer, but in this example BA aren’t charging £35 are they – they’re charging £35 plus a number of Avios. APD is a cost of sale like all the others, at least it’s predictable. On livery, I wouldn’t get excited. There’s a few of the Flybe fleet still kicking around in the old white and pale blue livery. Most of the fleet are purple (bet that’s going to be a pain to paint over) but this is already superseded by a white with purple tail. None really lend themselves to a quick repaint. So Connect compete (albeit in a small way) with Virgin West Coast on the Anglo-Scottish market. Will be interesting if Virgin/Stagecoach were to lose that franchise come March 2020. Along with Caledonian Sleeper, Cross Country, LNER & Transpennine Express. TPX to a much lesser extent. @BlueThroughCrimp: There’s not actually much significance in this, Virgin Group has 51% in VWC, and only 30% in V. Atlantic, which in turn holds only 30% (?) of the new Connect. So its safe to book a FlyBe flight for the summer then??! The airline will still be here, yes, and hopefully they won’t mess around with the schedules in the short term. I for one think this is hugely exciting because the bigger, better Virgin Atlantic will be more of a force to be reckoned with against BA. I think this will also give VA more opportunity to develop their long haul operation from Manchester and potentially Glasgow, given that these hubs will now have much more scope for domestic connections. Ultimately, competition is better for us, the consumers. I think there’s more chance of VS developing their longhaul operation from Manchester than VA.
What are VA and VS? Isn’t it the same thing? VA is Virgin Australia, VS is Virgin Atlantic. VA is Virgin Australia if you are being pedantic …. Will it make much difference to BA? People flying from the regions are likely to be going via AMS anyway. Expansion by VA in the North would be good news for people who are not within easy reach of LHR, not such good news for KLM though. It would be great to see more direct long haul flights from airports other than LHR. Nick, you assume too much. I fly from the region’s, been years since I went through AMS. The ability to redeem miles on one ticket with VS (inc domestic connection) is very appealing. Definitely – it’s quite a pain having to book separate tickets just now (same for SQ – both offer codeshare but only on cash tickets). +1 from someone in ABZ. Redeem miles with domestic connection ala BA will entice me to fly VS.
As someone from “the regions” I fly to North America a couple of times a year and have never gone through AMS (usually LHR, LGW or DUB). I don’t think KLM have as much pull elsewhere as you’re assuming. Why AMS and not let’s say DUB? Also, there is a certain type of City traveller whose long haul flights are from LHR and whose short haul flights are from LCY wherever possible. That traveller is now going to be better served by Virgin than before. It will be interesting to see what Virgin does with the LCY operation of FlyBe in that regard. Is it fair to assume from this that BE’s financial position was much worse than they were letting on? The credit card companies had started to hold back funds, so they were not getting the money from new bookings unless they were made on a debit card. We won’t know how much the bad publicity in recent weeks had caused bookings to dry up. The announcement today does imply that the bridge loan was desperately needed though. Do you think that Flybe’s operations can be turned around with Virgin in control? We probably won’t see much of an uptick in money paid out to Avios / Virgin Miles after full completion, but what we may see is an increase in revenue FROM Flying club. This is doubly important given the move of FC out of Virgin, making FC a Free standing business, from what I understand. Of course, I could be talking complete bolsheviks, being biased in favour of Virgin, but that’s how I see it. Flybe has a good profitable core. The problem has been management teams who insisted on messing around with new ventures – such as taking on Loganair in Scotland – and getting carried away with aircraft orders. The risk now, as I see it, is that profitable routes end up sacrificed in order to run more less profitable routes to a) the Virgin hubs in Manchester and Glasgow and b) to/from airports controlled by Stobart. Of course it is – they are legally on the hook if the airline goes bust so they have the right to protect their interests. It’s very odd. So, basically they are only an intermediary between a customer and a provider of service but it’s up to them to decide whether they like / trust the provider before they hand over the money which is not even theirs! so weird…. But they’re held jointly liable so if the company goes bust they’re on the hook for reimbursing all the folks that used their card. They’re assessing the creditworthiness of the company before releasing funds. Seems quite sensible to me? If I was a shareholder I’d be livid about this and be considering suing the executives. Thankfully I’m not so I’ll just look forward to using my VS miles on Flybe, and hopefully a new airline hub coming to MAN. I’m far from an expert, but the way the deal has been restructured, within course of being announced, suggests that flyBe is in a financial pickle. Probably much worse than the purchase announcement suggested. In all likelihood it was this deal, or receivership. Im not convinced that having VS on board will change things in the immediate term, it will take sever months to get the VS brand up and running. They have gained access to capital, which will count for a lot. I guess that Stobart are predicting the VS franchise will help both the point-to-pont operations and the hub operations, as it did at Aer Arann/Stobart Air. It also makes a mockery of capitalism when shareholders can be bypassed in such a way. Bit by bit the attributes of capitalism are being eroded by lawyers, who more often than not tend to operate like a bunch of socialists. Nice headline, but I believe the shareholders voted to transform flyBe PLC from a premium to ordinary listing. Therefore the directors can buy/sell parts of the business without shareholder approval. I believe the “Ayes” were >90%. These turkeys voted for Christmas. Reassuring news, I have Flybe flights booked in February, April and May. Looking forward to be able to use my 200k Flying Blue miles on Flybe routes; living in London i’m struggling to use them on SkyTeam partners. It’s not gonna be good value… I promise you. Use the miles to fly on any SkyTeam airline. Check out their Promo Awards… they have some very juicy awards. Not sure you can say with all certainty that it won’t be good value. If you’re flying on popular dates you can make big savings. I redeemed Avios on Flybe flights to Edinburgh on a Six Nations weekend recently. They wanted £650 to get my family there…or 18,900 Avios plus £125ish. At least it will be a good way to extend my FB miles and prevent them from expiring, which is difficult at the moment. First thing they need to do is scrap the Flybe website., and start again. Given up trying to book on line with them, even though they fly from four miles down the road from me. An absolute waste of time. The website isn’t as bad as the app! so if Stobart Air is now part of the new airline … Virgin are indirectly/partly operating franchise flights for Aer Lingus ! i wonder how long before IAG terminate that set-up (assuming there is a clause in the franchise agreement that IAG can use) ?! For many years Loganair flights were BA branded despite being owned by British Midland. If Little Red hasn’t have been wound down we’d have had IAG operating flights for VS. The Aer Lingus Regional wet lease contract will soon be up for renewal. The CityJet Air Nostrum partnership stated several months ago that they’ll be submitting a proposal to operate Aer Lingus Regional. I have an Avios redemption booked with Flybe in August LHR to Newquay) – any chance that will turn out to be a problem? It was a decent redemption as the cash price was absolutely ridiculous! Given this deal has gone through I’d imagine all these existing bookings will be honoured.